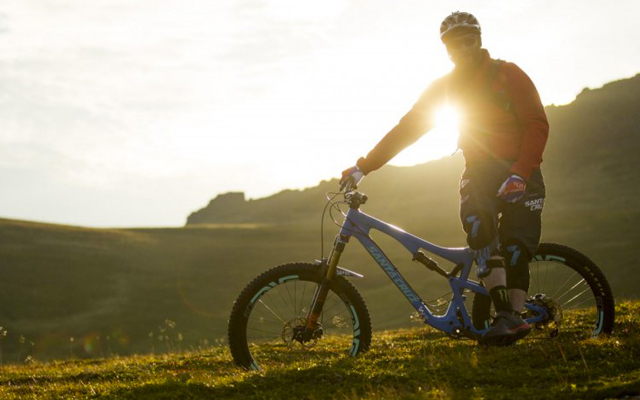 November 2015, Steve Peat announced his inevitable, though long unwanted, retirement from World Cup Downhill racing... it's not taking immediate effect... he will race through the 2016 season as part of the Santa Cruz Syndicate Team. It would be best not to expect Peaty to be utterly focused on pursuing the World Cup title nor World Championship, though he'll be competitive; having lots of fun and if he'll pursue a podium if he gets a sniff of the probability... no this will be more a victory lap for someone who has come to represent what modern downhill racing is all about. It's about determination, courage, support and grasping hold of the humour in any given situation. Peaty has loomed large in the last few years as an elder statesmen figure in the, but its' not his age that have drawn people to him... such as the fans, the media, the commentators, the sponsors and fellow competitors... it's how he his utterly is Steve Peat.